When buying a property, we all hire a surveyor to assess the state of the property. Armed with a tall ladder and a pair of binoculars, we trust his or her expert opinion to alert us to any possible issues. 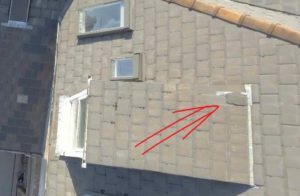 Issues that might mean expensive repairs. But as anyone who has bought a property in the UK knows, this method can only see a fraction of the exposed roof. Thus leaving your already stretched budget even more at risk. That is were an Aerial Survey by Drone-Op.com comes in. We can spot issues before you exchange contracts. 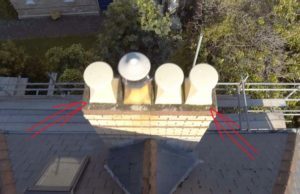 Armed with 4k Ultra HD evidence, you can negotiate a lower price for your property to cover the expected repairs. The average survey costs approximately £1,000.00. For as little as an extra £150.00 you could have piece of mind that your property is safe and sound. The ROI on this small investment could actually lead to thousands of pounds coming off the asking price. 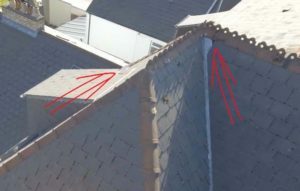 Due to the peaked nature of many UK Roofs, often these issues would never be spotted until water started penetrating the building. Stop them before they become costly and hopefully spot them before your sale closes. Contact one of our aerial survey specialist at pilot@drone-op.com today. No obligation quotes starting at £150 + VAT.